Just kidding! She kept sticking her tounge out at me..haha Such a cutie pie! 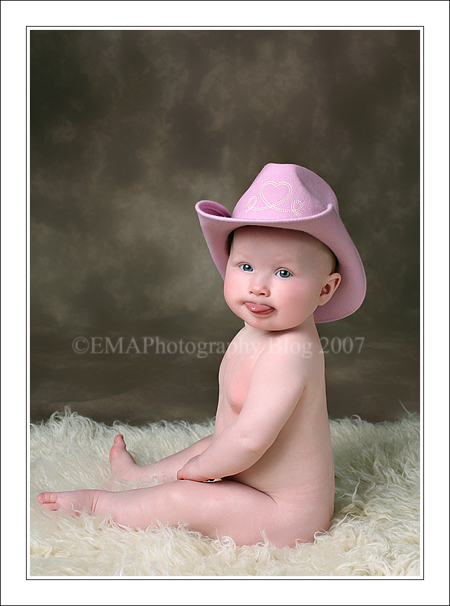 I promised mommy I’d proof the cowboy hat one first! Tracy - Thanks for giving us a sneak peak of her in the cowgirl hat!! She is toooo cute!! MomMom Johnson - She takes good photos.She’s just to cute.